Team Jing Ying Institute of Kung Fu & Tai Chi in Annapolis! Join us in the fight to kick Alzheimer's to the curb! This devastating disease has affected so many people directly and indirectly - it's the 6th leading cause of death in the US, and the only one in the top 10 for which there is currently no way to prevent it, cure it, or even slow it down. Many members of our Jing Ying family have been affected, and we hope you will join us in the fight to end this disease. 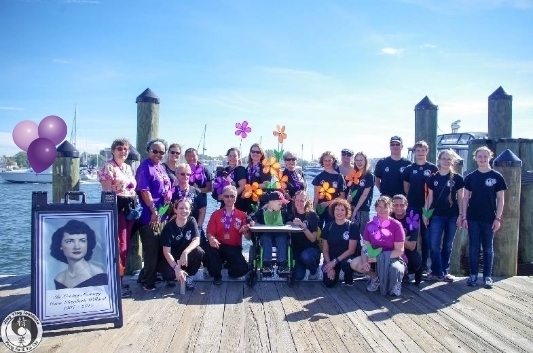 This walk was originally dedicated in memory of Cora Willard, who passed away in 2017 due to complications from Alzheimer's. Since then, we have discovered how many friends and family have their own story of how Alzheimer's has impacted their lives. Our team is dedicated to supporting them. Please join our team or make a donation now!